Posted on November 21, 2018 by dev1305 wrote in commercial landscaping, General. All right, commercial landscape owners and managers, it’s nearly holiday time. Before you start in on the whole “Who cares? We live in Florida. We don’t get seasons” argument, we’re going to interrupt – just because we Floridians don’t get to wander and walk in a winter wonderland doesn’t mean we can’t make every effort to seriously deck the halls and implement some serious holiday décor. If you didn’t already learn this from our previous blog about Finding Fall in Florida (seriously, give this bad boy a read, it’ll change your life come next Fall), we can amp up any commercial space to reflect the season or holiday – it just takes a little extra Florida flavor. As landscaping experts who have been perfecting the Florida-fied seasons for the last two decades, we can absolutely guarantee that we can provide you with the changes, updates, and services your commercial landscape needs to get in the spirit of the holidays. Check out some of our tried-and-true ideas below! Why Should My Commercial Landscape Undergo a Holiday Makeover? Think about how you feel when you see a great-looking, holiday-themed landscape. Makes you smile, right? It puts you in mind of hot cocoa, warm sweaters, family time, and all the other holiday-esque things associated with this time of year, doesn’t it? Decorating and updating your commercial landscape – whether you’re a shopping center, a residential space, a medical plaza, or more – will automatically boost the mood of the people you’re dealing with! That’s never a bad thing, right? Most of all, though, holiday décor is a huge marketing tool. A well-done landscape that’s holiday-themed can not only increase foot traffic (which means better revenue for you, most likely), but also reign in a new audience that you’ve never had access to before! Overall, holiday landscape décor is a smart move for your commercial operation. While there are hundreds of Florida-esque holiday ideas we could suggest for your commercial landscape, we’ve laid out the most basic few that we believe can really help boost your holiday traffic. Check them out below! Never underestimate the power of the strung-up light. Seriously, what screams “HOLIDAY TIME” more than some well-constructed light patterns all over your landscape? At Landcrafters, we know lighting, so we can certainly help you out with getting your lights strung up. Consider adding in layers of (safe) lights to your trees, bushes, hedges, and even on your commercial building. Even if you can’t technically walk in a winter wonderland in Florida, some strategically-placed Christmas lights can make you feel smack dab in the middle of a Christmas miracle. There’s nothing like some seriously festive wreaths and some well-placed garland throughout your commercial landscape. Whether you want us to construct these or want to get creative and craft these on your own, this is a simple, but exciting and effective, way to boost your holiday landscape! 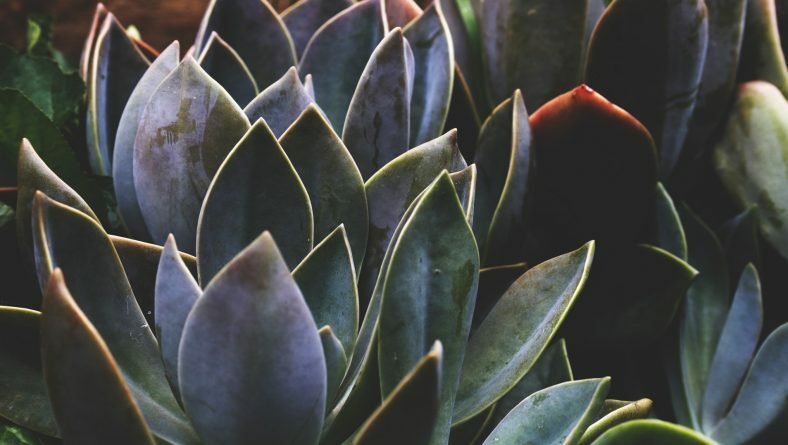 There are so many different plants you can add into this rotation, just make sure you’re researching the care needed for each of these plants and guarantee you’ll be able to provide this for each plant. Because these holiday tweaks are likely going to really boost your traffic, you want to make sure that your landscape is in the best shape possible for your extra guests – this means you’re going to want to ensure that everything is trimmed up, tidy, and terrific. Look into having your landscaping company come in before you add in all the holiday extras to trim everything up, do a good cut, clean out the flower beds, redo the mulch – whatever it may be, just ensure that your commercial landscape is looking great before you add in all those extra holiday details. 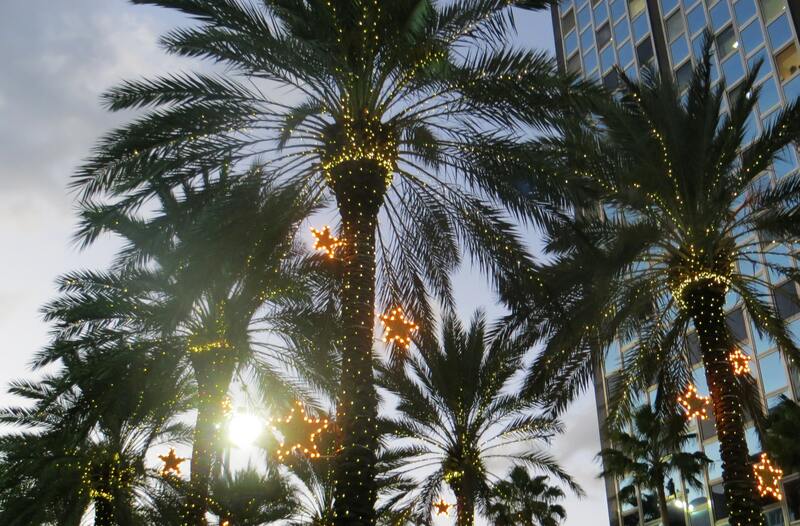 Did our Florida-fied landscape advice open your eyes to all things holiday décor? We sure hope so! It’s a shame to miss out on getting into the season simply because we don’t get to showcase the ice, snow, and holiday-esque flora and fauna. If you want to hear more of our holiday ideas and see how we could implement them into your commercial landscape, feel free to give us a call at (727)-21-3947 or reach out to us via our contact page. Interested in more landscape ideas that are little less season-specific? Check out our regularly updated blog for more tips, tricks, and inspiration to help craft your ideal commercial landscape!